Growing up, The Carol Burnett Show was part of prime family time each week, bits and pieces of the skits becoming part of our family vocabulary and identifying points. Madeline Kahn was a frequent guest on the show and one of her skits where she played a pretentious acting coach for Eunice was a favorite for us. Something that Madeline says repeatedly in this skit, ‘in our circles, in our circles, in our circles’ became part of our family sayings. Madeline Kahn was spoofing Method Acting concepts for great hilarity, but this phrase has come to represent both an effort to center myself and a way to be aware of my comfort zones. Even when firmly in our comfort zones, we can still need to center ourselves at times. And we really need to be aware of how to center ourselves when we are outside of our comfort zones. 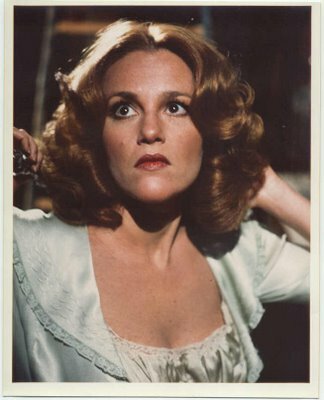 Madeline Kahn had this wonderfully rich, theatrical voice and I can still see her now – head slightly tilted forward, eyes closed and hands circling around as she chanted, ‘in our circles, in our circles, in our circles’. (Carol Burnett as Eunice lapping it all up and imitating every action.) This is a great example of how humor can impact us well beyond the stress-relieving immediate laughter. Remaining centered is a supreme act all in itself most of the time. Things, events, people are all working quite hard, and seemingly deliberately, to push us off center. Out of our circle. Our comfort zones can hold us back from progress – at work, in relationships – because the next thing that we need is beyond the perimeter of comfort. Out of our circle. Some people have a fairly easy time adjusting to unfamiliar and making it part of their comfort zone and others really struggle. Of course capability to adjust can be affected by how much the new thing is wanted, needed or liked – except for people that really can’t deal with change. Full disclosure – I am actually writing this one for myself because my comfort zones are shifting and I needed to remind myself that it’s ok. I thought it might be a message that would resonate for others as well, so I’m sharing. In our circles, in our circles, in our growing shifting circles.